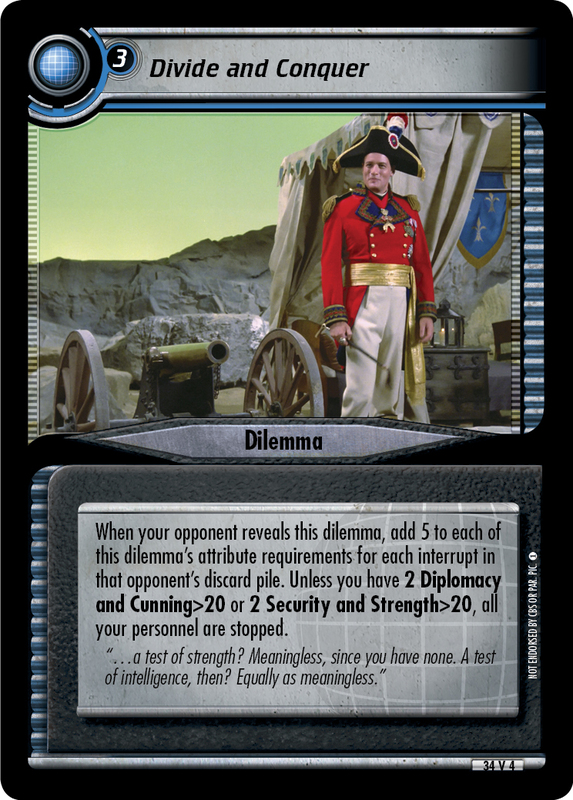 Choose a personnel with Cunning>7 to be stopped. 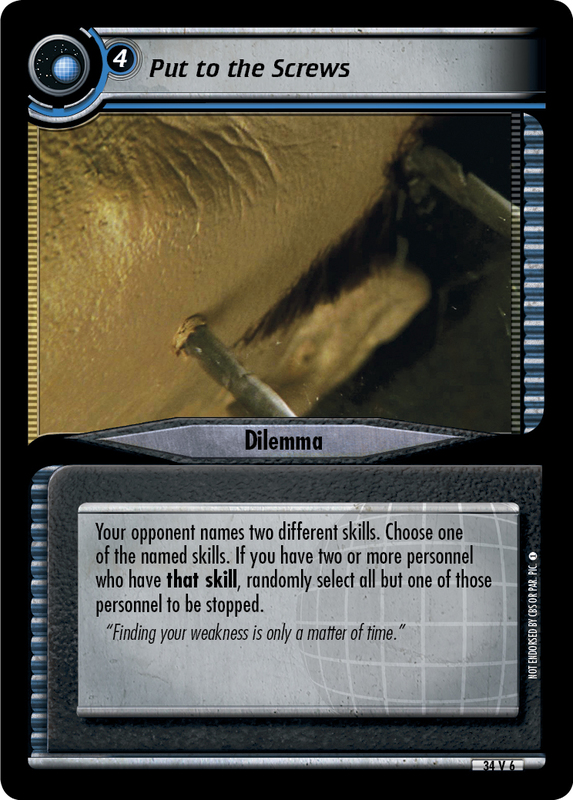 If you cannot, place this dilemma in your core. 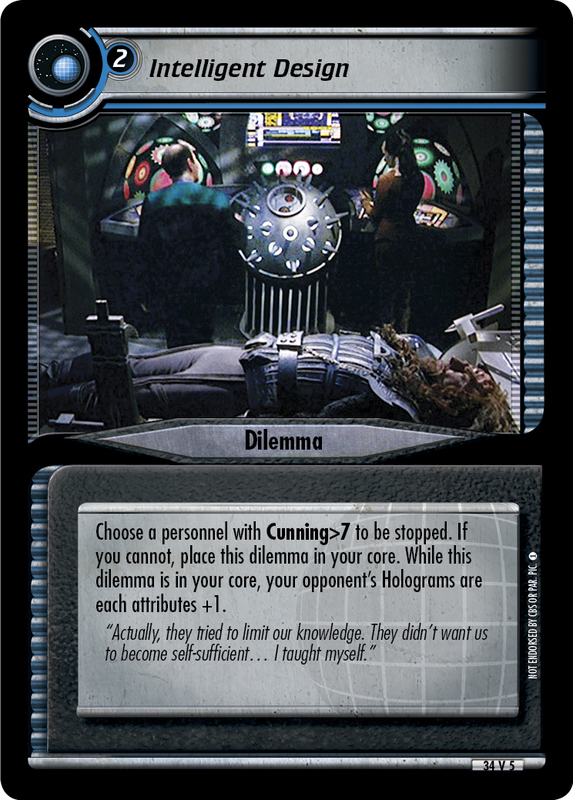 While this dilemmas is in your core, your opponent's Holograms are each attributes +1. "Actually, they tried to limit our knowledge. They didn't want us to become self-sufficient... I taught myself."